it's the same as having wings!!!" RunDisney’s countdown clock reads 25 days to the Tinkerbell Half Marathon Weekend. Training has been tough in the northeast. I'm not motivated to run outside since the weather has been so cold. It seems that when it warms up, it rains. Alyson told me “it might rain on race day” so I should just go for it. I won’t have a choice on race day. I have a choice when I’m training. I keep choosing the treadmill. The treadmill and I are not friends. I hate running on it. And, the treadmill let me know it’s feeling for me a couple of weeks ago. When I took my phone out of its case, my driver’s license (which wasn’t properly tucked into its pocket) went flying out and disappeared into thin air. We looked underneath, moved the treadmills and couldn’t find it anywhere. I’m thinking it conveniently fell between the belt and frame. So thank you, treadmill, for making me stand in line at the DMV on the last day of the month!! 3 hours later, I had my new driver’s license in hand. Last weekend, I did my 4.5 miles on the treadmill, again (the temp was only 28 that morning). I’m hoping it warms up one of these days so I can do my runs outside. I’ve even tried switching up the training plan Alyson gave me to fit the forecast, but alas, on those days, the forecast was wrong (or at least was way off for the times I had to fit in my run). This week, as bib numbers and corral placements came out, it was like everything fell into place! 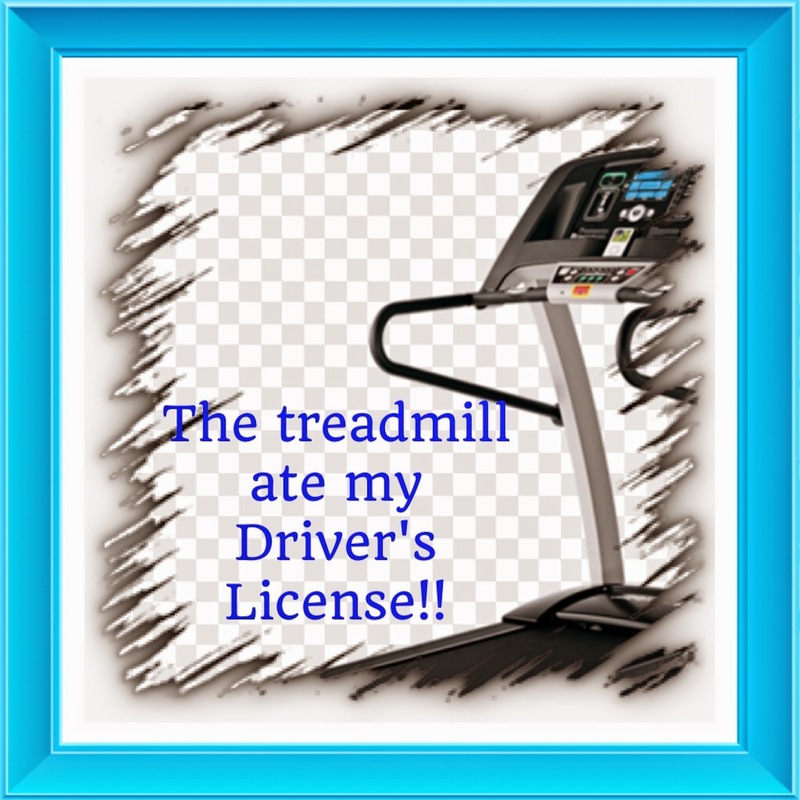 The gym called this morning and the treadmill finally “coughed up” my driver’s license. I no longer fear the finish line. I actually say “when” instead of “if”. I realized that I did my 4.5 miles and it didn’t bother me. I’m actually looking forward to my 4.5 miles outside this weekend. And, hopefully the next few weekends of mile increases will also be outside. Yes, things are looking up. My costume will be simple because I need to comfortably get through my first 10k. Alyson and I will be dressed alike. I'm honored that she's planning to move back from corral A to run with me!! I’m looking forward to “flying” across that finish line. And then, proudly wear my medal as Bill and I watch Alyson complete the Pixie Dust Challenge! 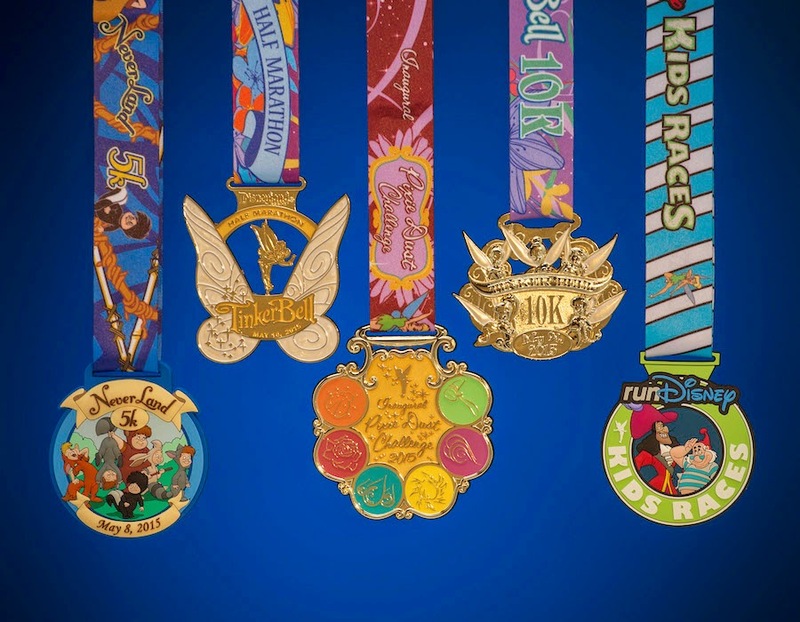 Will we see you wearing one or more of these medals at Disneyland? We'll be looking for you on the course!